Mrs. LaRue Henderson, age 91, of Lanett, AL passed away on Friday, January 25th, 2019 at Arbor Springs Health and Rehab in Opelika, AL. 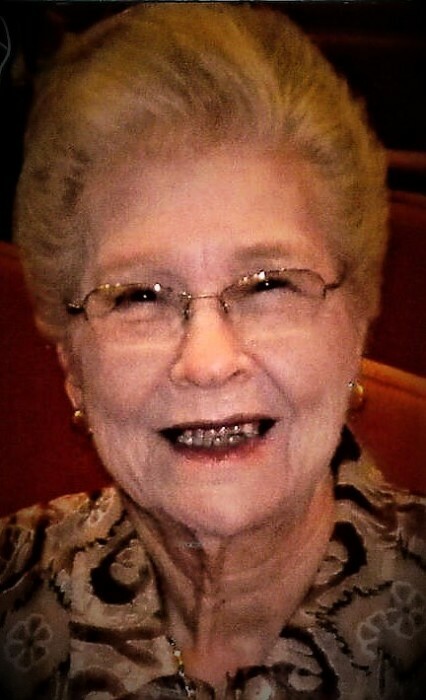 Mrs. Henderson is survived by her two sons, Phillip R. (Beatie) Henderson and Tim (Sharon) Henderson; her two granddaughters, Hope (Bob) Helton and Hayley (Andrew, Major USAF) Looser; her six great grandchildren, Hannah, Harrison, Hayden, and Hollie Helton, and Logan and Addison Looser. She was preceded in death by her husband, Ralph Henderson; her parents, John Henry Bryant and Gladys Carroll Bryant; her brother, Edward; and her three sisters, Mendell, Bernice, and Gloria Belle. Mrs. Henderson was born on December 11th, 1927 in Carrollton, GA. She was a member of Calvary Baptist Church in Lanett. Funeral services will be held on Sunday, January 27th, 2019 at 3:00 PM (EST) at the graveside in Resthaven Cemetery in Lanett, AL. The family will receive friends in the cemetery following the service. In lieu of flowers, the family asks that donations be made to the Lottie Moon Fund at Calvary Baptist Church in Lanett, one’s own church, or to the Alabama Sheriff’s Girls Ranch in Camp Hill, AL in her memory.